Excel Entertainment Releases Trailer for October 12th Limited Theatrical Release of JANE & EMMA, the Incredible True Story of the Unlikely Friendship Between Free African-American Jane Manning and Mormon Founder Joseph Smith’s Wife Emma Smith, Set Against the Backdrop of Smith’s Murder in 1844. Excel Entertainment—a wholly-owned subsidiary of Deseret Book Company—is the preeminent independent film distribution company in Utah, and has released more than 40 successful films since 2000. Excelis recently released its official trailer to the upcoming feature film JANE & EMMA, opening October 12, 2018 in limited theatrical release. Sparking a public conversation for the first time about racism, polygamy, gender, and the Mormon Church, the film tells the true story of two women—a free-born African-American woman and a wife of a controversial religious leader—whose unlikely bond of friendship gave them the strength to withstand grave challenges on the night Mormon founder Joseph Smith was murdered by a mob in 1844. 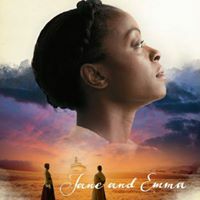 Filmed on location in Salt Lake City, Utah and Nauvoo, Illinois, JANE & EMMA tells the story of two women (Jane Manning James and Emma Smith) who forged an unlikely friendship against the backdrop of race, religion and gender issues in 1844. Jane as one of the first black members of the Mormon church and Emma Smith as the wife of the Mormon Prophet Joseph Smith, come together to survive a perilous night after Joseph is murdered by a mob in Carthage jail.